Eric Kristiansen focuses his practice on the prosecution and defense of complex commercial litigation, as well as the defense of wrongful death and personal injury matters. Many of Eric's clients have global footprints, and he is routinely recognized by clients for his ability to provide creative solutions in complex matters. For many clients, Eric is retained well in advance of an anticipated dispute or lawsuit. In those instances, his communication, risk-assessment and management skills are utilized to make strategic decisions affecting the ultimate outcome. 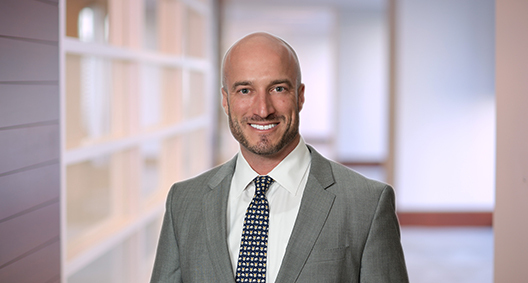 In addition to his litigation practice, Eric frequently advises clients regarding risk mitigation and management, incident investigations, and safety policies and procedures, and he has conducted seminars for his clients on those subjects. Represented a global industrial services company in warranty and indemnity disputes. Represented an energy company in disputes related to contractual indemnity and the Texas Oilfield Anti-Indemnity Act. Successfully resolved numerous insurance issues related to contractual indemnity obligations. Routinely represents an oilfield equipment manufacturer in products liability cases involving personal injuries. Routinely addresses indemnity and insurance issues related to the defense of those matters. Defends oilfield clients in explosion cases and catastrophic injury matters. Represented an oilfield services company in pre-dispute activities involving a global re-branding initiative in nearly a dozen countries. Amicably resolved all issues related to intellectual property rights without the necessity of litigation. Represented an oil and gas exploration and production company in connection with its Chapter 11 bankruptcy case. Represented exploration and production companies in commercial disputes related to onshore and offshore drilling, completion and production operations. Represented an exploration and production company in cases involving royalty disputes, general mineral lease disputes with working interest owners, and disputes with surface owners. Represented a drilling company in cases involving down-hole trespass claims, claims arising out of drilling operations and surface damages. Represented a drilling company and individuals in arbitration over stock options and a noncompete agreement. Represented a plaintiff in a dispute over commissions owed for geological surveys of South American oilfields. Represented a real estate developer in a contentious contract dispute and negotiations with the Army Corps of Engineers. Represented an electrical transmission and distribution contractor in a complex breach of contract and property damage case. Represented the client in all aspects of litigation, which related to physical damage (and alleged economic loss) to transmission and distribution power lines during a construction job. After nearly 30 depositions and multiple motions, the matter was amicably resolved shortly before trial. Represented a drilling contractor in a cross-border breach of contract dispute involving multiple international jurisdictional issues. The case covered international exploration and the production company's U.S. contacts, as the company was fighting jurisdiction in the U.S. After a three-day bench trial involving expert testimony, fact witnesses, and thousands of pages of documents, the case was resolved to the client's satisfaction. Represented a window wall and curtain wall system manufacturer in a complex product liability and breach of contract dispute involving alleged property damages to a 40-story hospital. The complex matter involved several hospital entities, including multiple intervening insurance companies asserting subrogation rights, who claimed their 40-story hospital tower was defectively constructed. As a result of damage during Hurricane Ike and another rain event, the plaintiffs submitted damages in excess of $40 million. After three years of litigation, depositions and millions of pages of documents, the case was ultimately resolved in a confidential settlement. Represented a window wall and curtain wall system manufacturer in a products liability and breach of contract dispute pending in bankruptcy court. The case involved alleged property damages to a beachfront high-rise condominium. The matter provided a unique challenge due to its relation to a possible jury trial over products liability claims in an adversary proceeding pending in bankruptcy court. After an oral hearing, a prompt dismissal of claims against the client was acquired due to multiple defects in claims asserted by the plaintiff. Represented a roofing materials manufacturer in warranty and breach of contract claims filed by a school district. The case was tried to jury verdict and, after multiple appeals, was remanded for a new trial. The procedural posture of the case presented many unique challenges to the client's defense. The case ultimately was resolved to the client's satisfaction. Is lead counsel on a docket related to workplace injuries at chemical plants in East Texas. Represented a chemical plant and the premises owners in lawsuits filed by employees of independent contractors who alleged a variety of injuries resulting from their work. Represents a mobile batch plant manufacturer in products liability cases involving personal injuries. For example, represented the client in a suit regarding catastrophic injuries that allegedly occurred during fracking operations at a well in West Texas. Represents an oilfield services company in personal injury and death cases. Routinely represents drilling contractors in personal injury cases arising out of drilling activities. Represented a chemical company sued under the Federal Employers Liability Act (FELA) for personal injuries arising out of a railroad incident on company premises. The employee was injured while working with a site logistics crew responsible for rail operations. The plaintiff argued that he was a railroad worker under FELA and therefore the workers' compensation bar did not apply to his lawsuit, which would have otherwise prevented him from suing his employer in the state of Texas. After numerous depositions, including fact witnesses and corporate representatives, summary judgment in favor of the client was obtained. The judgment was affirmed by the Fifth Circuit.